Day three of guitar week - we're into trios now and there seems to be quite a lot of them! This power trio has the attitude of punk, the sounds of heavy rock and the exploration of freely improvised music. At times the sound is slightly reminiscent of another Scandinavian powerhouse, The Scorch Trio. On some tracks angular melodic lines are presented over a rock rhythm section whilst on other pieces Thorkild creates noise-based material (such as rubbing his guitar strings, and effect based generated sounds), which appears to do battle with the throbbing bass and thunderous drums that become the canvas for his sonic spatterings. With the language of rock being recognised through chugging guitar licks and harmonic squeals, the histrionics of the style are laid to waste and the sounds are used in a much freer sense against a throbbing backdrop. The eleven minute title track starts in this vein but gradually succumbs to it’s own pounding spilling out into a Krautrock type improv to bring the piece to a close. The final piece Deutchland even starts Neu!-esque over a brisk up-tempo march of a rhythm. 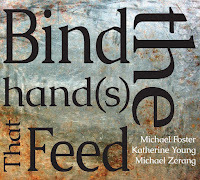 There is some great playing on this album and I thoroughly recommend it to fans of guitar based power trios. 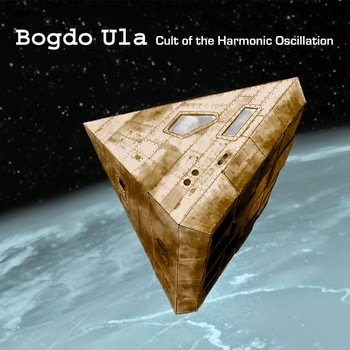 Starting with a soaring guitar sound and the monstrous punctuations of bass and drums in unison, this album immediately launches itself into progressive rock territory. However, this is no pre-composed set of pieces as the six tracks on this album have been selected from five days worth of intense improvising. The music is fluid, which has a lot to do with the bass and drums ability to ground the music without falling back on to a pattern that might resemble a clichéd rock rhythm. The album seems to borrow between two particularly distinct styles. That of a progressive rock oriented approach and sounds that are often found within a more experimental domain. The continuity in sound, playing and style combines these approaches and the music we get is of an interesting set of improvisations that complement each other well. This is the eighth album by this Finnish trio and they sound like they may have enough energy for another eight! 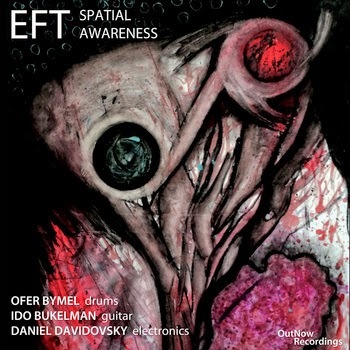 EFT is guitar, drums and electronics trio from Israel and their album Spatial Awareness is an icky good affair. It's cover has some vaguely alien but all too human looking image, it sounds like a little like a heart being defibrillated at times, and is probably one of the more absorbing albums I've listened to. I can't get the shards of guitar and arrhythmic beats out of my head, and the prickly electronics are sparingly applied, shaping the sound but not domineering. It's just all done so well. The tracks leading up to the center piece 'Emerging Foundations' build from the last. Gaining in volume and intensity, the trio works up the nerve to the track's embark on the splintered mayhem and long spacious interludes. The fizzle of electronics spar with with the scattershot of the guitar and well placed propulsion from the drums keep the track in motion. What exactly what makes it all work is wonderfully mysterious, but I'm happy to report that it works just great! Oh, and I'm going to vote this track title for title of the year: 'friend of no one but your phone'. 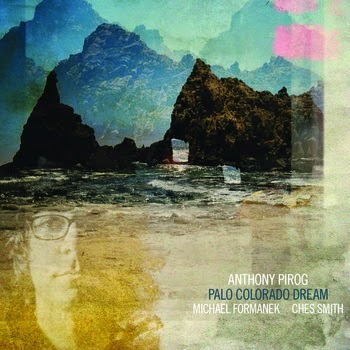 Anthony Pirog is a Washington DC based guitarist who has studied studied and played genres across the spectrum - from folk to surf to rock to experimental jazz - and all of these influences show on his trio recording 'Palo Colorado Dream'. Calling on his deep East Coast connections, Pirog has tapped free jazz A-listers Ches Smith for drums and Micheal Formanek for bass. The first track may just have you do a double take - is it Bill Frisell circa Gone Just like a Train? Well, sometimes it sounds like that, but it has a little more muscle. Next track, 'Minimalist', we're in Zappa territory. 'Threshold' digs into Material a bit, with a stuttering groove and dark rubbery bass line. 'The New Electric' is impressionistic and quieter, but with that certain 'post-rock' sensibility. An extremely good album that almost seems like foreshadowing to whatever is next. 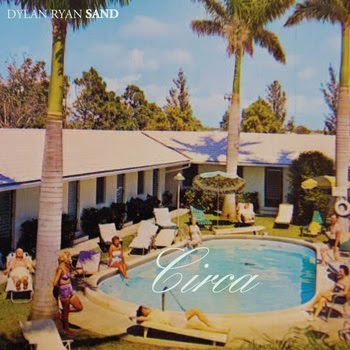 We first heard Dylan Ryan on his debut recording Sky Bleached last year. The album was an excellent intro to the drummer, who creates excitement through his ensemble minded compositions - and it's really interesting to hear the guitar power trio format not fronted by the guitarist. Working again with Bassist Devon Hoff and guitarist Timothy Young, Ryan may be even a bit more grounded in a group sound on this outing. The overall sound is heavier and more hard rock minded than last time. Though a tune like evocative 'Pink Noir' has a single line approach to the melody, many of the tracks seem to be based around thick chordal melodic lines. The bass and drums are equal partners and help to make each track move. A real treat is the bass work on 'Slow Sculpture', which sounds just like its title suggests. Circa is a dense, rock laden affair and leaves the listener pretty blown away. Spoom is a trio founded by German guitarist Ronny Graupe with Christian Lillinger on drums and Jonas Westergaard on bass, their music is both notated as well as improvised while – as they say – the improvised part reflects the notated one. The improvisations do not follow classic short themes, though, they are rather a processing of musical ideas. On As they are this can be seen on “Borders“, the longest and most complex track of the album. 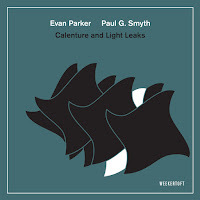 It starts off as a classic modern jazz track, but soon it gets lost in new classical music before the band seems to throw harmonic structures to the wind just to pick up some strict repetitive patterns. The rest of the track are explorations in silence, chords and single notes that float through space aimlessly before the track goes back to the modern jazz beginning. 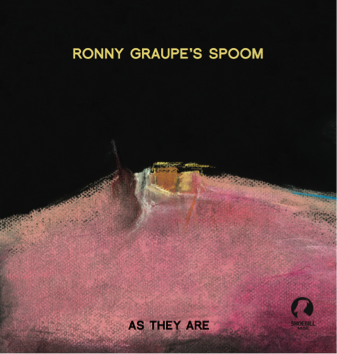 Graupe’s style is somewhere in between Wes Montomery and Mary Halvorson and he is supported by a fantastic band. Lillinger is the most interesting of the young German drum generation, he likes the grand gesture but then his technical repertoire is simply sensational (listen to his drum & bass hellfire in “Square Tango"),while Jonas Westergaard draws a lot from cool jazz history. As they are is available on vinyl, the LP contains an audiofile download code. Andymusic is a versatile guitar trio who mix-up funk, bop, cool jazz and rock elements into an interesting concoction of strict tight structures, which form the basis for more open and improvised lead breaks. 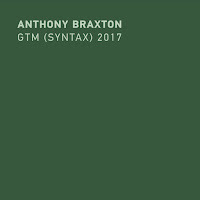 The composed forms take on a collage-like structure with the feel of swung sections immediately rubbing-up against straighter jazz-funk rhythms, whilst irregular meters, odd phrasing, quirky melodies and busy textures are common place to add to the interjection and intensity of the contrasts. 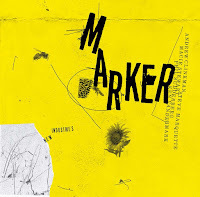 However, unlike more obvious sound collages the music flows very carefully, albeit with jerky abandon, throughout the pieces and has a consistent feel to it across the whole album. The musicianship is second to none, the bass and drums forming a tight and inventive unit whilst the guitar of Manlio Maresca (his more angular lead playing being reminiscent of Marc Ducret) weaves in and out of the rhythmic unity. At times punctuating and supporting the existing structure and at other times moving freely and with great articulation whilst soloing around them. This is a very well conceived album full of creativity and invention, which seems to get better with every listen. 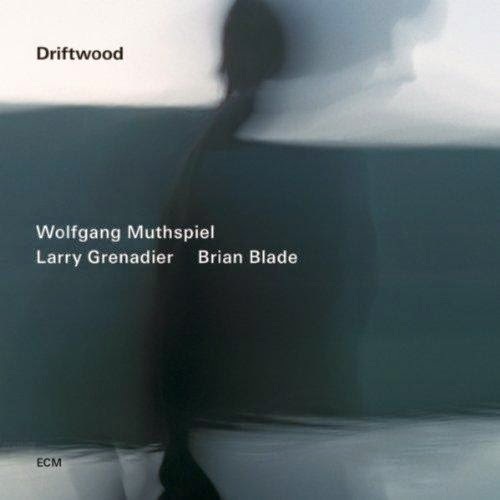 Wolfgang Muthspiel's Driftwood, is a gorgeous guitar trio effort that adheres to the ECM aesthetic in many regards - crystalline production and measured playing, but it also has its share of fire. Muthspiel is an incredibly fluid player and his fleetness on the nylon string guitar is delightful. On Muthspiel's first recording for the label, he brings along bassist Larry Grenadier and drummer Brian Blade. This is not an unseasoned trio of musicians and their experience infuses the tracks with depth and vitality. For example, the spontaneous and delicate 'Driftwood' showcases such rich interplay you may think it was composed as such. The track 'Uptown' is a perfect example of both the fire and finesse, with Muthspiel's nylon string riding over a jaunty rhythm. Another highlight is 'Highline' - the rich tone of the bowed bass and warm acoustic sound contrasts nicely with the distorted electric guitar and deep slightly akimbo pocket of the rhythm section. 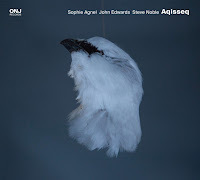 Driftwood fits easily into The ECM discography sitting beside John Abercrombie, Gateway, and Ralph Towner (with whom Muthspiel collaborated with on Towner's Travel Guide last year). 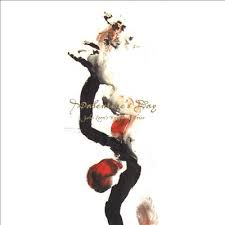 John Zorn doesn't play on his album Valentines Day, but he did write the tunes specifically for this trio of bassist Trevor Dunn, drummer Tyshawn Sorey and guitarist Marc Ribot. The album is a scorcher - really showcasing the best of Ribot's aggressive guitar playing with the imaginative support of the Dunn and Sorey. Kicking off with 'Potions and Poisons', Ribot is slashing and burning his way through a dense forest of percussion over a ominous rumble of bass. Sorey doesn't keep a straight beat but his pulse is all rock, essentially another lead instrument. 'Blind Owl and Buckwheat' finds the trio in a bit of a hoe down mood before splintering into a fractured dance. Before the album wraps, Dunn makes sure to get in some musical punches on 'And the Clouds Drift By' - which may be true as you are lying on your back, looking up, knocked out by the power of this trio.